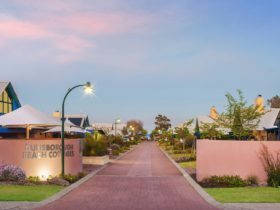 Wildwood Valley Cottages and Cooking School, with its magnificent views to the sea is one of the oldest and most beautiful properties in the world-class Margaret River Wine Region. 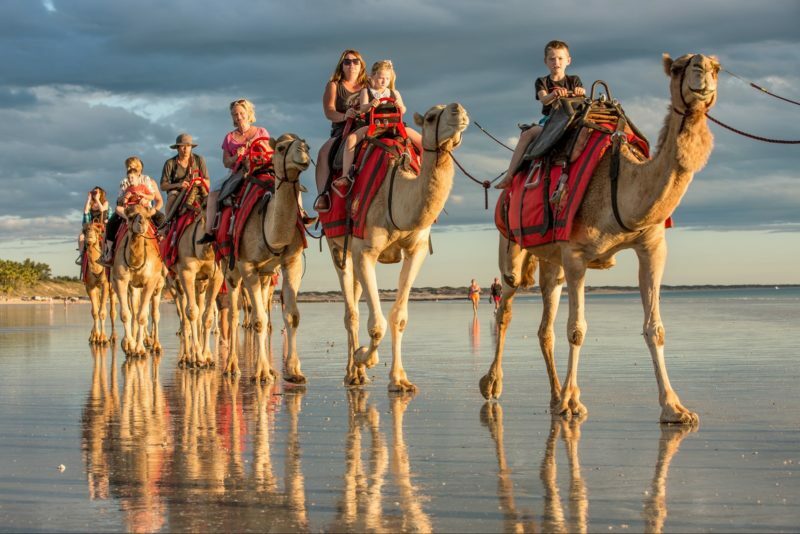 They enjoy being small and personalised, combining their Australian and Tuscan cultures to give you a unique experience. 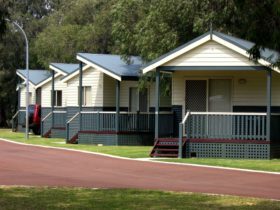 Wildwood Valley has four self-contained cottages. 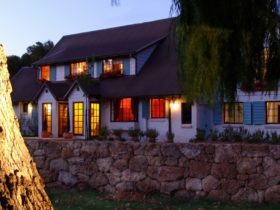 Honeybee Cottage is a luxury, romantic getaway for a couple. The three larger cottages each have three bedrooms and two bathrooms, and can be rented as several different options, from one bedroom with en suite for a couple, to the whole cottage for up to eight guests. 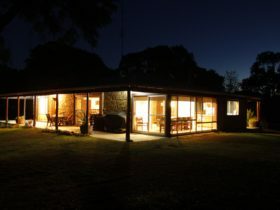 They also take group bookings, and the entire property can sleep up to 22 guests. The three larger cottages have fully-equipped kitchens including a dishwasher, and decked areas with a barbecue and magnificent views to the ocean. All linen is supplied. The property is within minutes of pristine beaches, wonderful wineries, galleries and restaurants. You can join in one of Sioban’s cooking schools to learn the art of authentic Thai, Wood-Fired or Italian cuisine. See their website for details and dates. Wildwood Valley is just one of the little gems to be found in this unique corner of Western Australia. This gorgeous three bedroom, two bathroom cottage is equipped with everything that you could need for a relaxing holiday. It has a king room with en suite, a queen room, plus a third huge bedroom with a double and two single beds! The cottage can sleep up to eight guests. It can also be rented as a two bedroom option. There is a fully-equipped kitchen including dishwasher, plus a large decked are with barbecue and glorious ocean views. 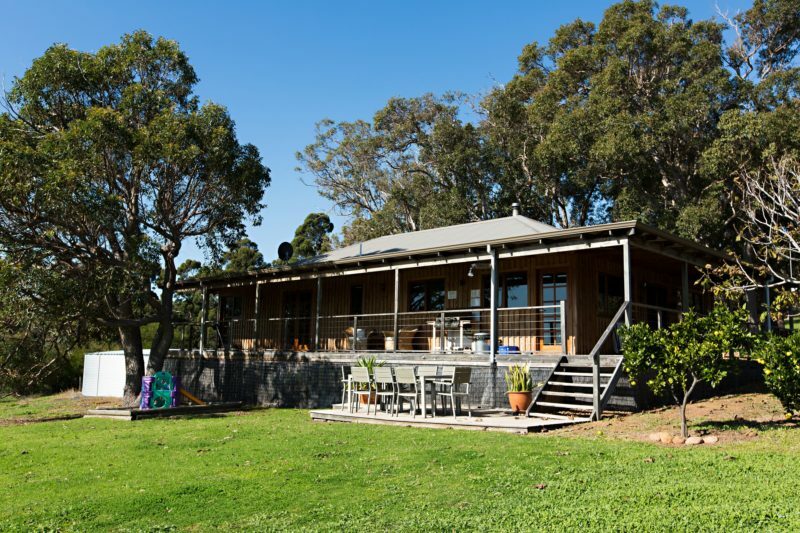 This spacious three bedroom/two bathroom cottage sleeps two to six people and is fitted out with all that you would need – linen and towels are provided and a fully-equipped kitchen, large dining table and lounge with television, DVD and stereo. You also have your own private deck with barbecue and outdoor setting to enjoy the tranquillity while enjoying the stunning sunsets. 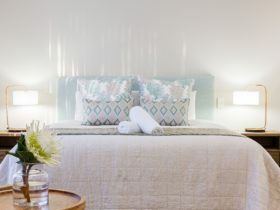 The bedrooms consist of one king-size bedroom with own en suite including a shower, one queen-size bedroom and one twin share bedroom with two single beds. The second two bedrooms share a bathroom which has a shower and a fabulous claw foot bath overlooking the ocean! Please note that for long weekends and holiday periods, minimum nights stay required. Designed for couples wanting seclusion, this luxury cottage has a king-size bedroom with double bath en suite and has magnificent views through to the ocean. 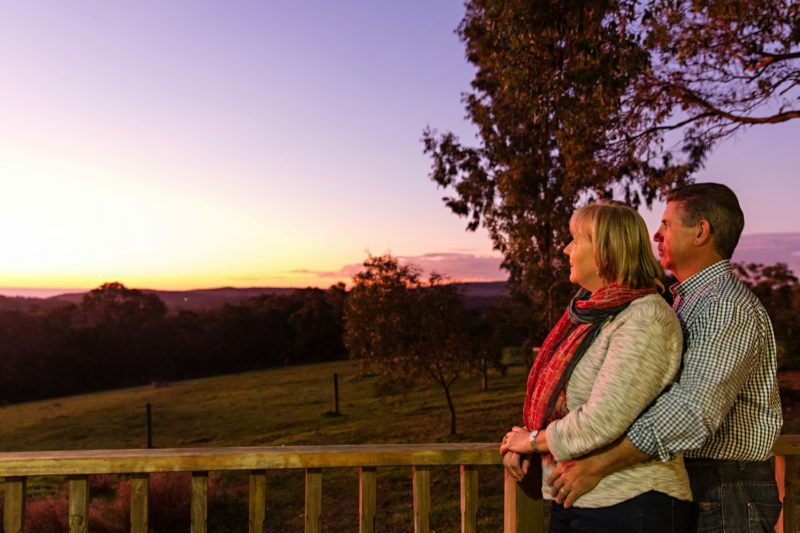 Enjoy the sunsets on your secluded barbecue deck or snuggle up in your lounge area. It also has a lounge area with pot belly heater, television, DVD, stereo and a mini kitchenette with dishwasher and microwave. There are two decking areas that take advantage of the fabulous view – both have outdoor settings, and one has a barbecue. 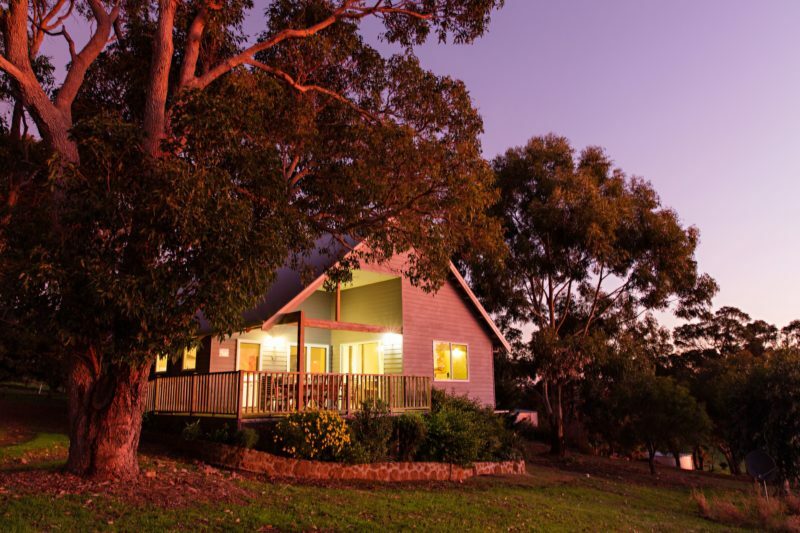 Nestled into the side of the hill with uninterrupted views down the valley, sit and watch wildlife and spectacular sunsets over the sea and immerse yourselves in the “sounds of silence”. Unsuitable for children of any age. 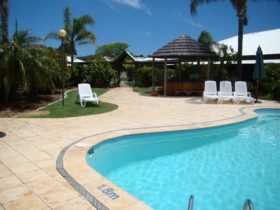 This luxury three bedroom, two bathroom self-contained cottage has everything you need for a relaxing holiday down south. It can be rented as a one bedroom option for a couple, or a larger two or three bedroom option for couples or family groups. Fully equipped kitchen, plus decked area with barbecue and glorious ocean views. All linen supplied. Prices in cottages vary depending on the number of bedrooms required and the number of guests.